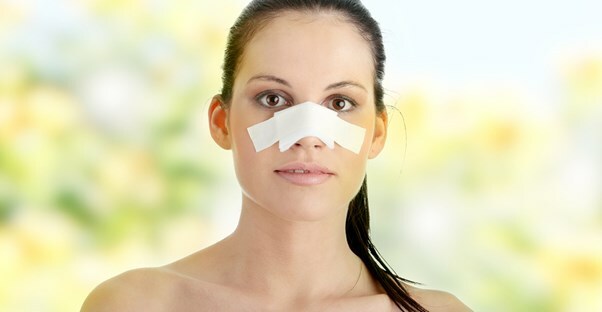 Just as with any other surgical procedure, recovering from rhinoplasty is going to take time and a little extra care. For those who have recently gone through this surgery, which is commonly called a nose job, here is a closer look at five tips that can be used to make this transition as hassle-free and pain-free as possible. While many may hope to get back into their regular exercising routine, this can lead to some major issues with healing. Most specialists suggest that all rigorous activity should be avoided at all costs for at least three weeks. As much as possible, clothes that must be pulled over the head should be avoided, as they could irritate the nose. Instead, patients should attempt to wear button-ups or tops with zippers in order to avoid aggravating the area. Glasses of all types should be avoided because they sit on the bridge of the nose. If absolutely necessary, the nosepiece of the glasses should only sit on the hardened “cast” over the bridge of the nose. Heavier sunglasses are especially difficult and could lead to slower healing times. Steer clear of direct sunlight. Immediately after a surgery, direct sunlight should be avoided at all costs. Most specialists recommend avoiding sunlight for a period of at least three months. If the nose is burnt at all, the surgeon or primary healthcare physician should be contacted immediately. Be careful while eating and brushing. The upper lip is attached to the nose through soft tissue, and this means that any movement will disrupt the healing process. Whether it is eating harder foods or brushing, patients just out of surgery should be slow and careful during these movements. It is typically suggesting that flossing should be avoided for at least a few weeks. A rhinoplasty is a great way to reinvent your looks, but the aforementioned precautionary steps must be taken in order to expedite the healing process and ensure that no complications arise.